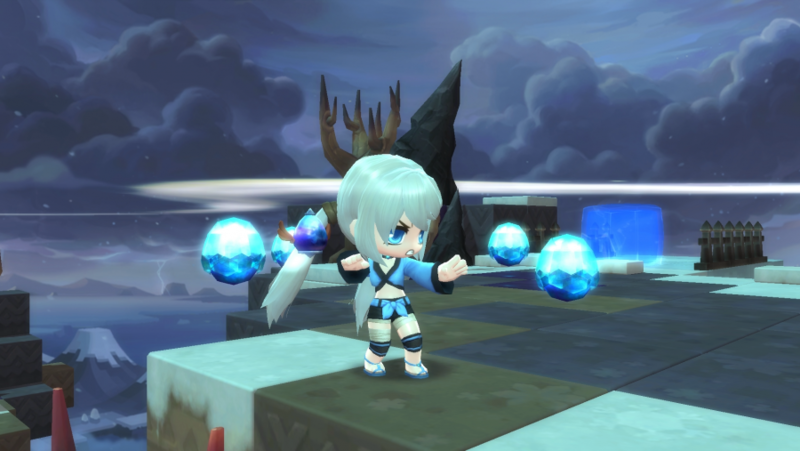 Win one of 50 MapleStory 2 Founder’s Packs to celebrate the Skybound expansion! The golden mushrooms are smiling and the rockets are ready for their mission across the MapleStory universe. You know what that means? Probably not – so let us tell you. It’s time for the Skybound expansion for MapleStory 2. It rolls out across the cutesy free MMORPG today. Binder class, the new Sky Fortress area, and a PvP mode you can find in the 1v1 Maple Arena. There are also now Normal Chaos Raids so that anyone who can’t take on the hard raids yet have a way to work up to them. And don’t miss the Skybound Celebration Event, as it gives any players at level ten and above lots of boosts and items once you login. We’re celebrating the arrival of this MapleStory 2 expansion in our own way. Yep, we’re hosting a giveaway. We have 50 Founder’s Packs up for grabs so make sure you enter the competition at the bottom of this page. These are Explorer Packages specifically, which are worth $40, and give you 30 days of premium, a Mark of the Founder hat, a Founder’s Regalia name tag, the Prismatic Harmony unicorn, and 2,000 blue merets. Sounds good, right? Well, before we get your entered in the giveaway, watch the video below to see everything that’s included in the new Skybound expansion. It’s epic. Right then, to enter this competition to win a MapleStory 2 Founder’s Pack you need to use the widget below. Every action you complete is worth one entry into the giveaway, with the more actions you complete increasing your chances of winning.